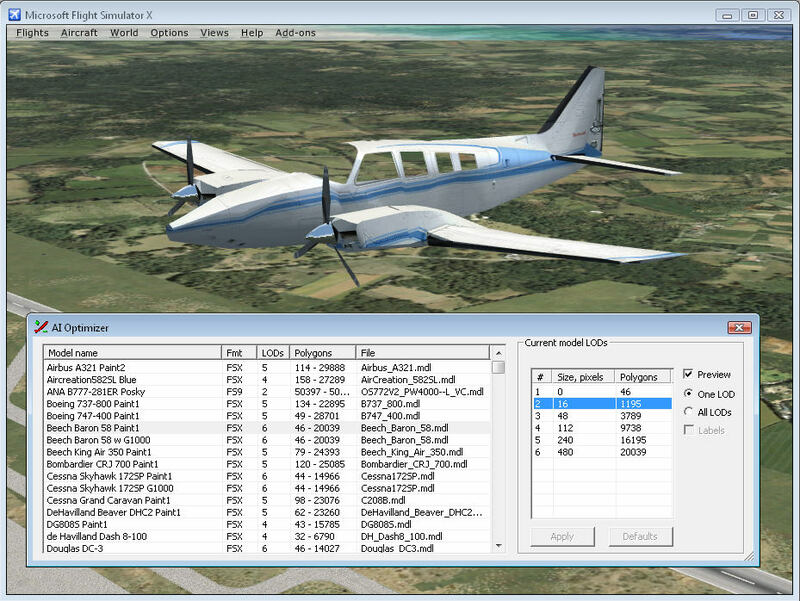 AI Optimizer is a tool for easily viewing and adjusting levels of detail (LODs) of FSX and FS9 aircraft. It allows you to easily tweak the FPS impact of your AI airplanes with just a few mouse clicks. Displays the polygon count and levels of detail of every FS9 and FSX aircraft installed. Lets you change LODs to adjust the FPS impact of individual AI aircraft. 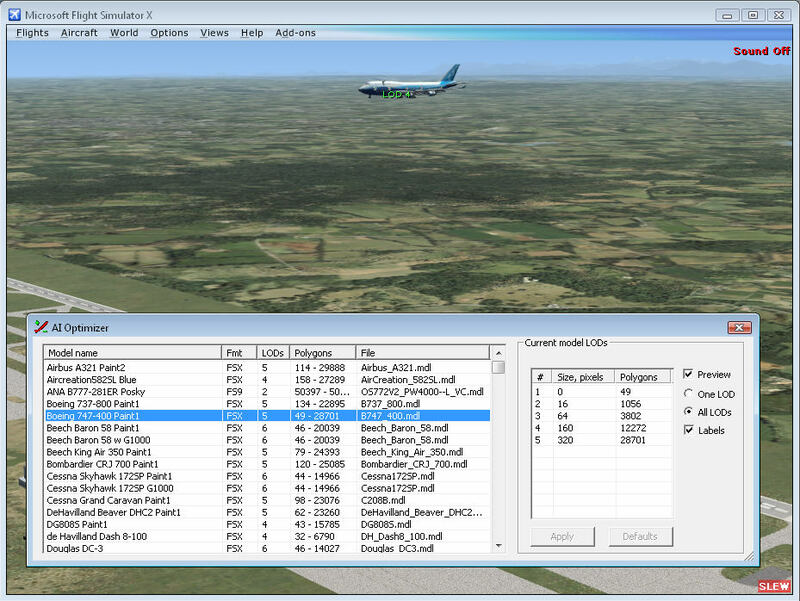 Allows you to view individual LODs directly in Flight Simulator. 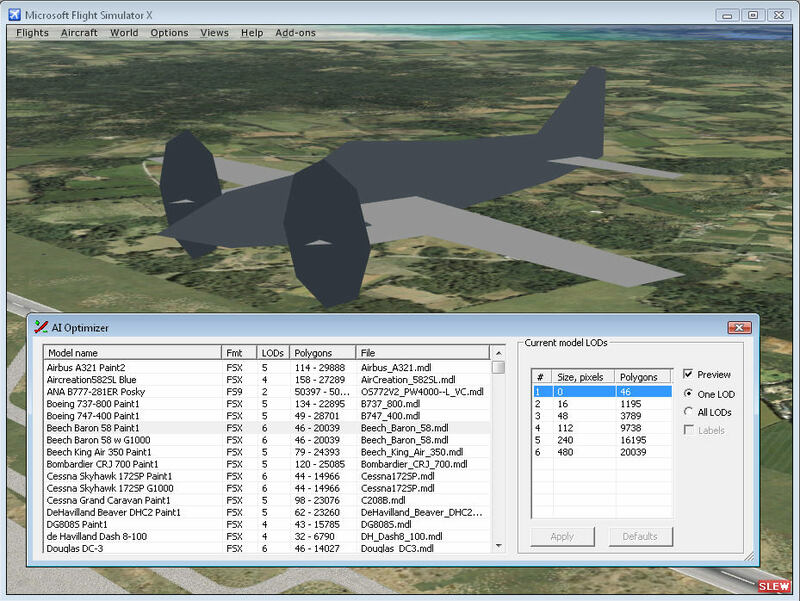 Allows you to limit the visibility of aircraft, including models with just one LOD. 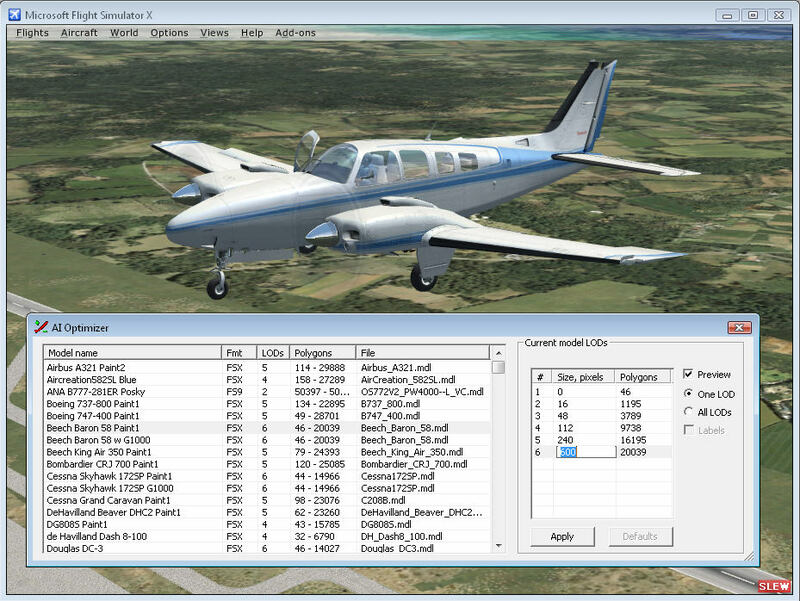 Runs as a standalone program or as a module in Flight Simulator. Live preview is only available when running as a module. You can download AI Optimizer and try it out for free. In the free demo mode, you can use it to view aircraft statistics. You can also adjust LODs and see the effect in the live preview, but you will not be able to save the modified aircraft.